These wonderfully thick, and plush scarves are made of acrylic. So, they are fully washable and SO WARM!! 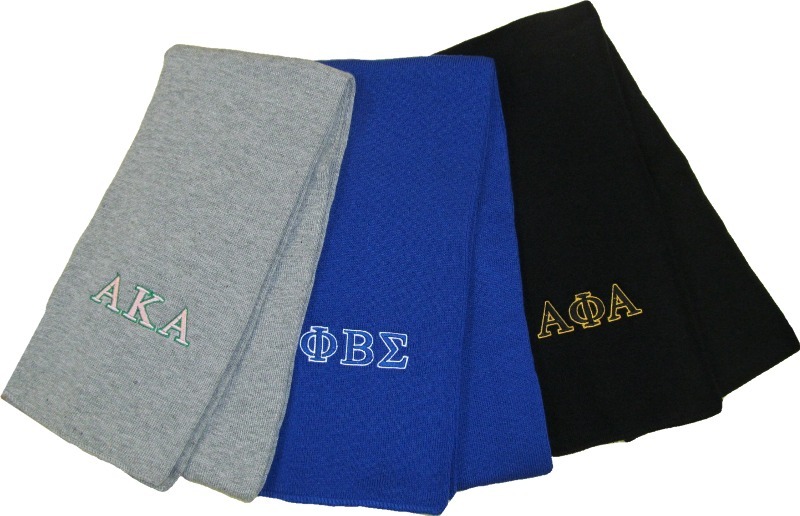 They are embroidered with your letters on one side. Wrap up in one of these and look great! Add a coordinating skullie to complete the set.